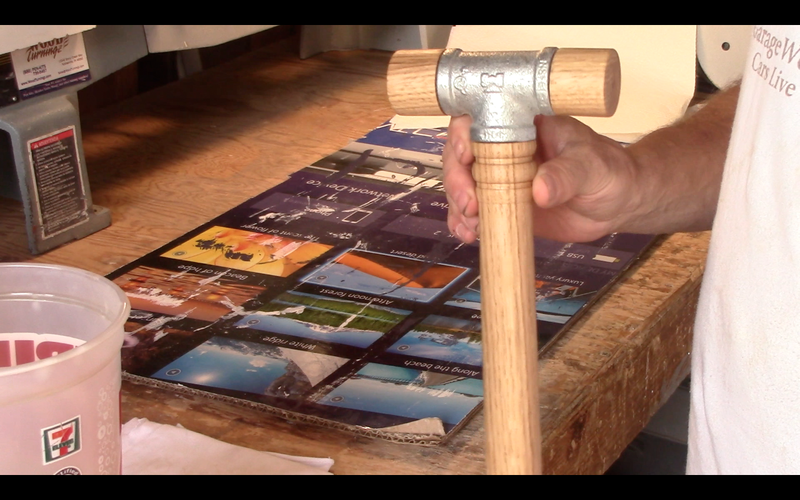 The Chris Pine Workshop: How to make a "T" fitting Mallet. How to make a "T" fitting Mallet. I saw his project first on Pinterest. It was a wordsmith E-tips project and it really is very simple to execute. You don't even really need a lather but since I have one I used to to shape the pieces. One could hand shape the pieces to a shape other than round and it would be just as attractive and certainly as functional. I uses some white oak that had on hand. 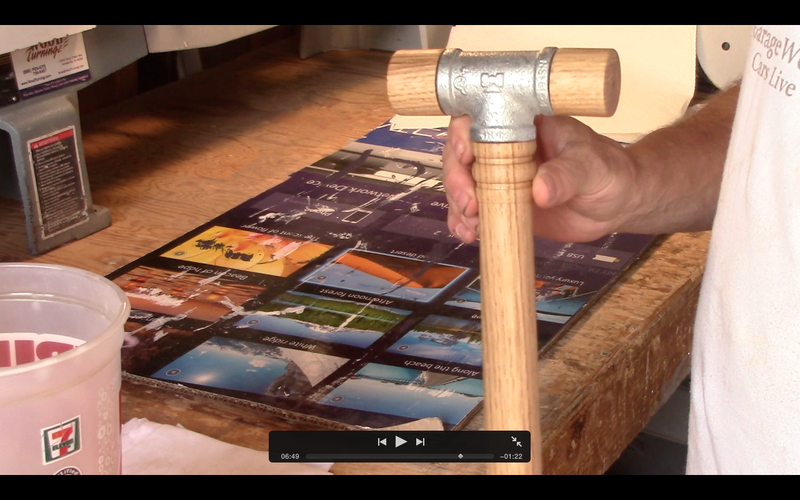 It s very hard and will make a great mallet. 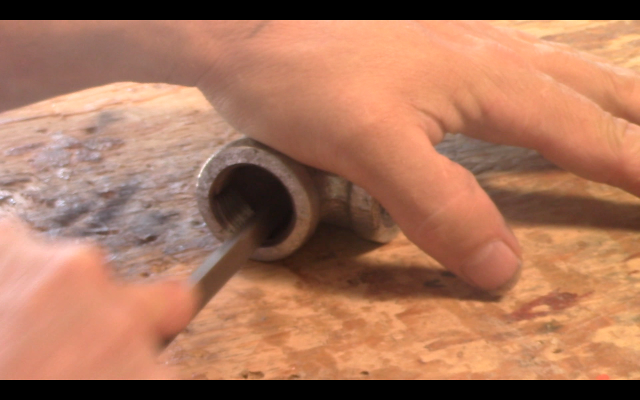 To cut the threads into the handle and face pieces you simply file some notches into the inched of the t fitting. 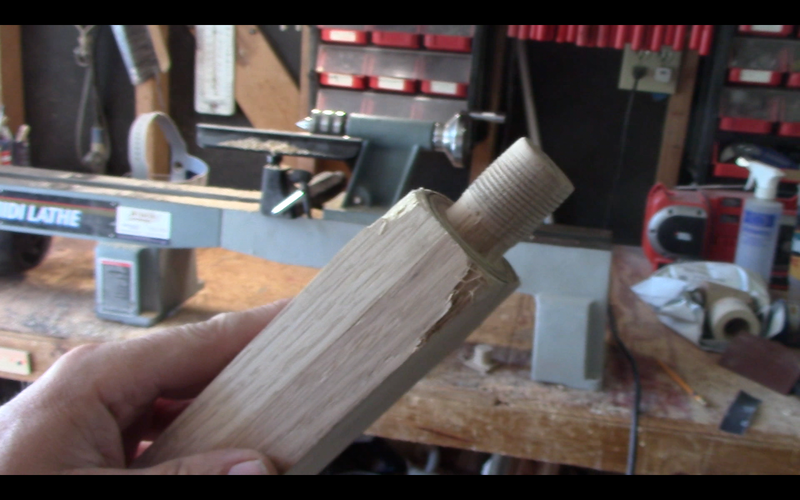 This will help the t fitting itself cut threads into the wood. 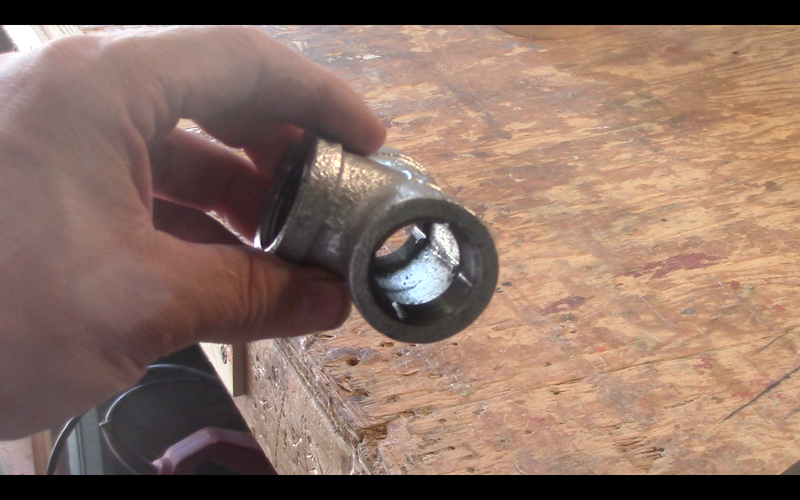 It works very well and no glue is necessary to hold the pieces in the t fitting. I would guess if the handle of face pieces developed some looseness that super clue would tighten this up nicely. 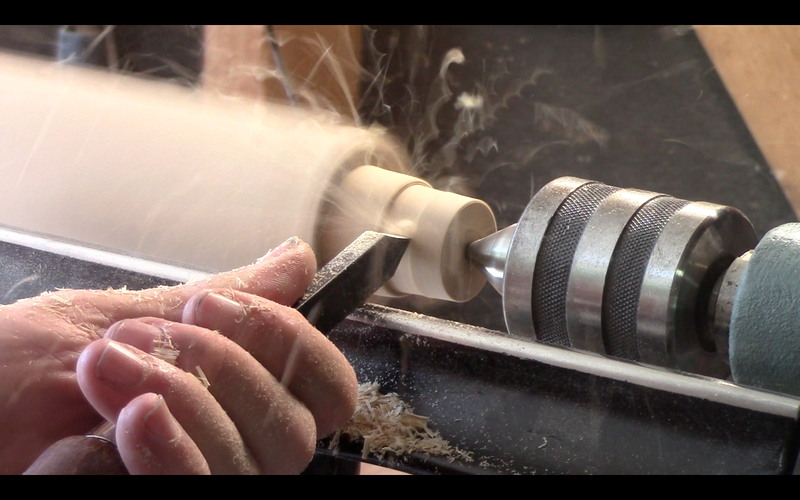 I started by turning the handle. I picked a shape that felt good in my hand and added some minimal decorative beads. The sky is the limit on what you would like this to look like. Using the t fitting you thread it into the opening and turn it cutting threads as you go. It can be very snug and hard to turn. A clamp on the end of the piece will help with this procedure. 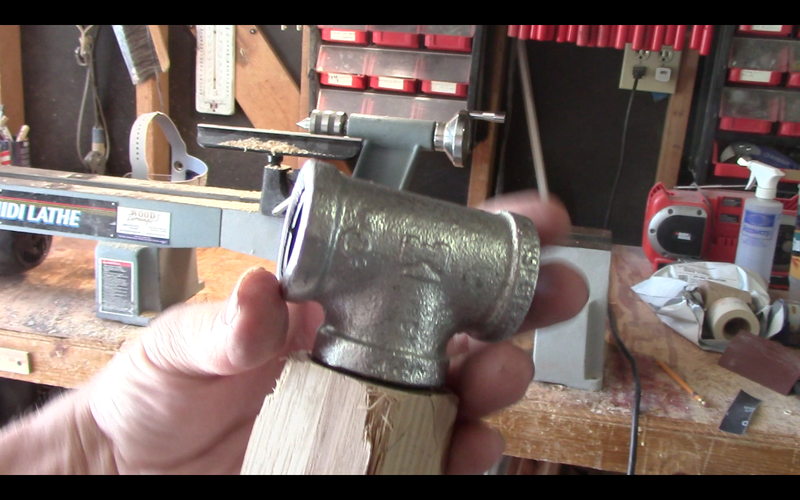 I did this as you can see by the photos and video before I turned the handle. This makes it a little easier to hold onto. I repeat this process with the face pieces. 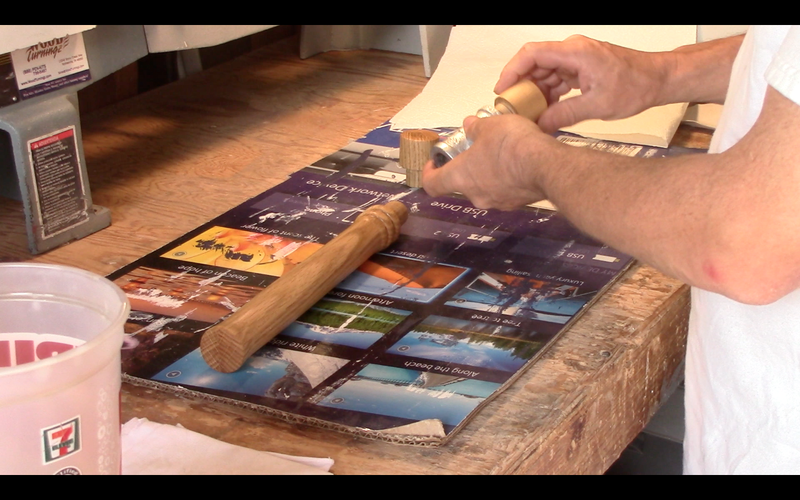 I then used some danish oil to finish the wood pieces and then re-assemble into the t fitting. This t fitting is a galvanized one and is about $3. This is fairly inexpensive. They have brass one for a little more money but I bet that would look sharp as well. This is a very fun and rewarding project! 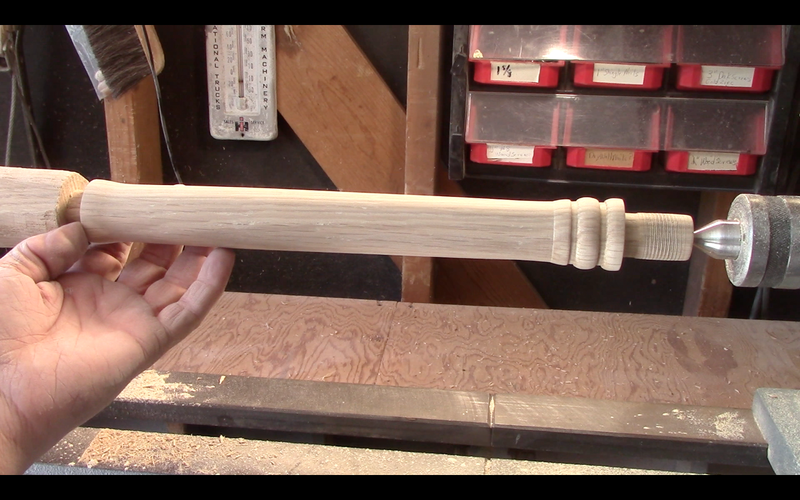 I know this mallet will get a lot of use in my shop!